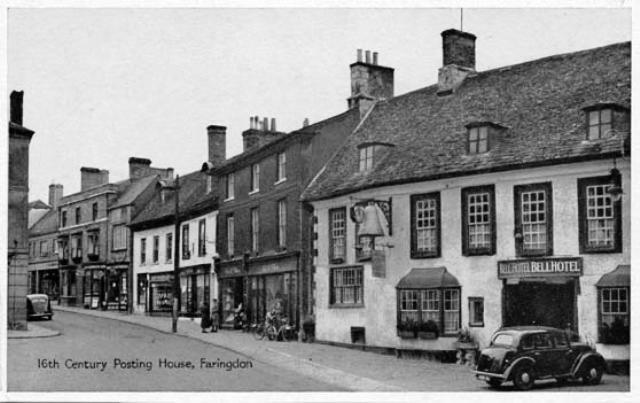 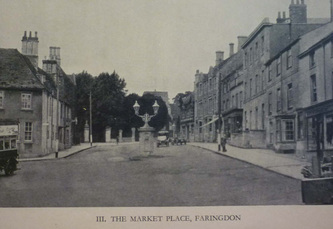 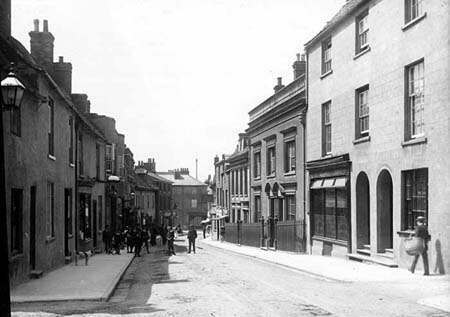 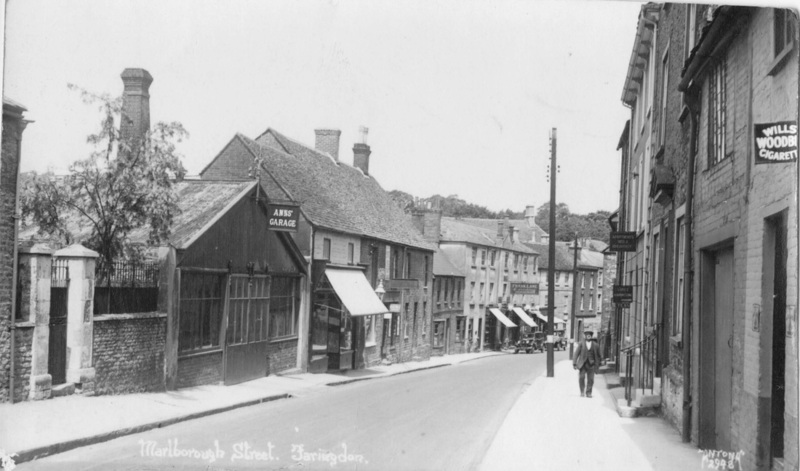 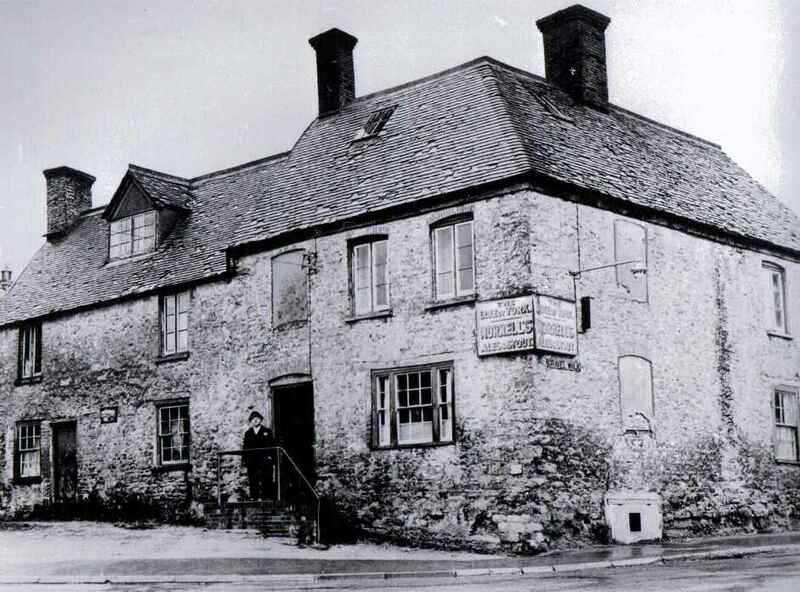 Faringdon 1920s and 1930s - Faringdon Community Website. 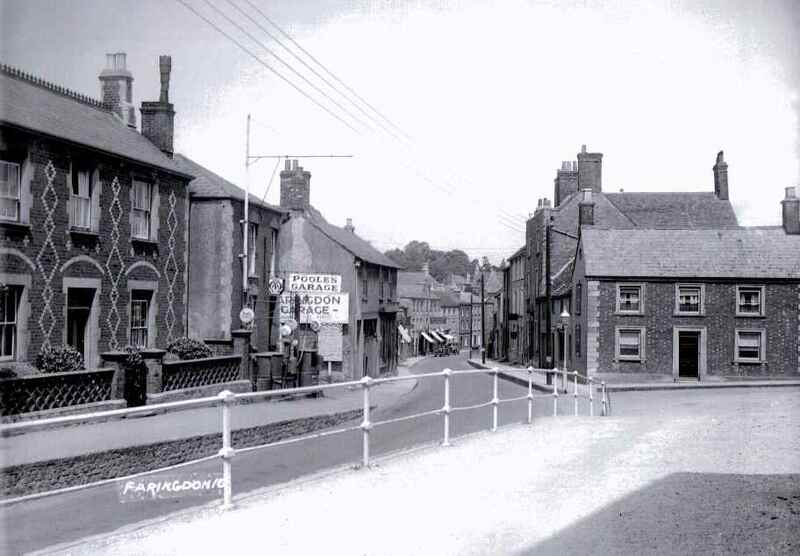 The gate posts on the left are the entrance to land owned by the Post Office (now the Telecom building), the Police Station is now where Anns Garage was; 2 shops on the left were Drew butcher and Fletchers sweet shop. Further down, the awnings were Frank Lane ironmongery and just beyond Golding Goddards draper.